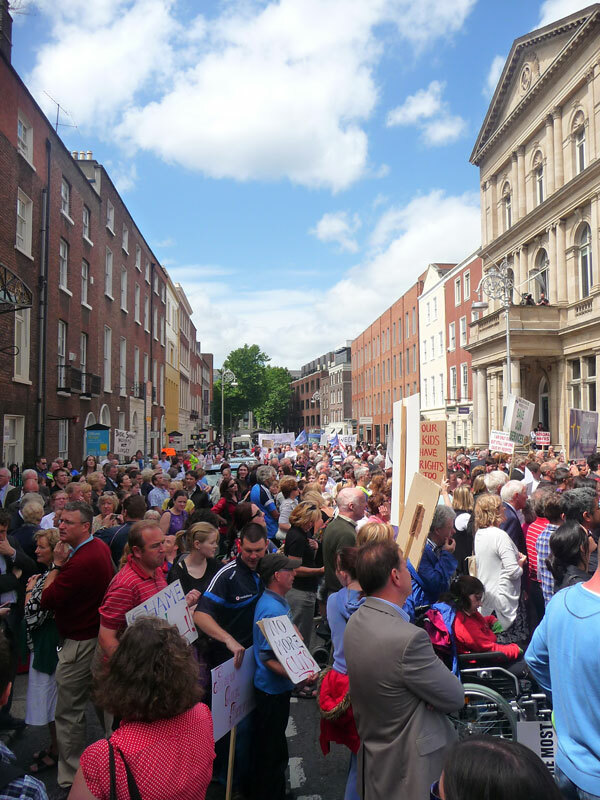 ‘We went in to the march in Dublin on Wednesday the 7th of July. There were thousands of people from all over Ireland assembled. We marched from O’ Connoll St. to the Government Buildings. Liz McManus T.D. 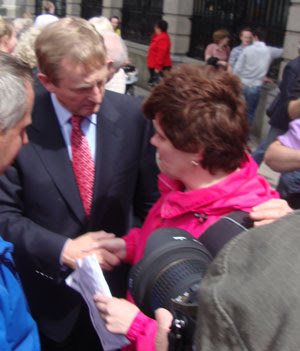 was there as was Enda Kenny and Eamonn Gilmore. 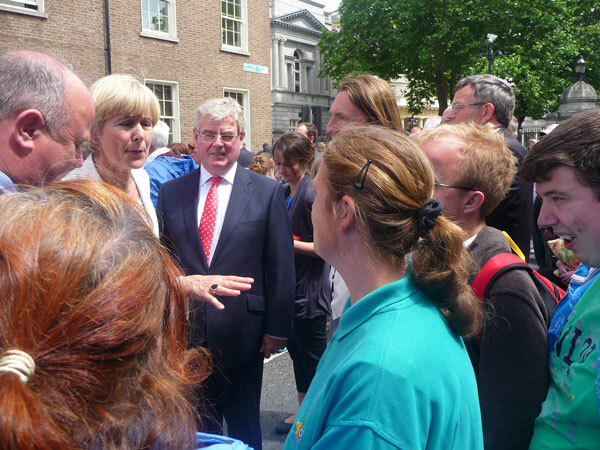 We spoke to them about the proposed cutbacks in respite services and disability services. Our rent has gone up and disability allowance gone down. Things are getting tougher, money-wise. We are glad we went in to march. We went in to protest for us but also to represent Sunbeam and the people who couldn’t make it in. It brought the issue to national attention. We heard on the television that they are not going to make the cuts now. We are shocked, actually, that they listened to us and we had an effect. ‘My name is Helen Donnelly. I am a client of Sunbeam House Services. On Wednesday the 7th of July, I marched from the Garden of Rememberance to Leinster House. I was protesting against any further cuts to Sunbeam House Services & other disabilities services. We got a lot of support along the way. People were beeping horns & cheering us on. We carried a placard saying “no more cuts”. I spoke to Enda Kenny, leader of Fine Gael, and Eamonn Gilmore, leader of the Labour Party. I spoke to them about concerns I have if our funding is cut again. By protesting I was standing up for my rights. I was making my voice heard.